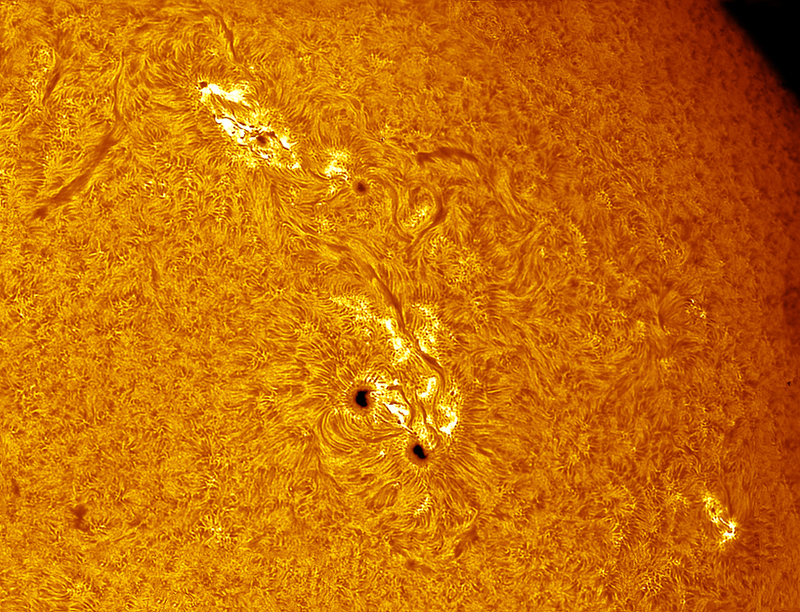 Here is a 6 frames mosaic of active area on the sun, with 5 sunspots and a few very bright features. Now the confession. 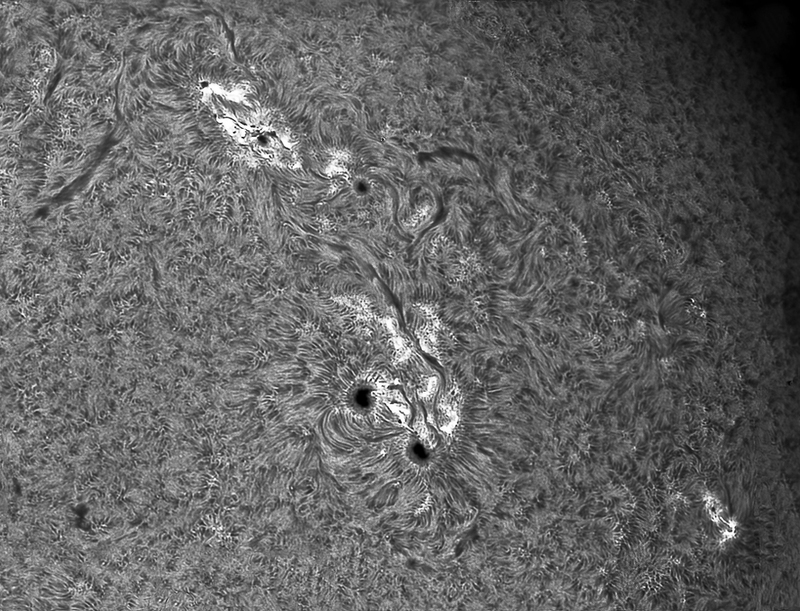 The last image is the original image (i did not process it) of the mosaic which i was not being careful while acquiring the data as you can see the white/blank areas around the solar surface. After the telescope and camera, Photoshop is probably the best tool amateur astronomers have. With the help of 'Content Aware' mind blowing feature, i added the remaining surface in the image and there you have it.. human errors gone for good!